This dazzling diamond ring is bound to capture hearts! Crafted from stunning silver, a captivating cluster of diamonds present a classic heart formation, complimented by set stones upon the band. The total diamond weight of this ring is 0.10ct, a beautiful way to celebrate your love. 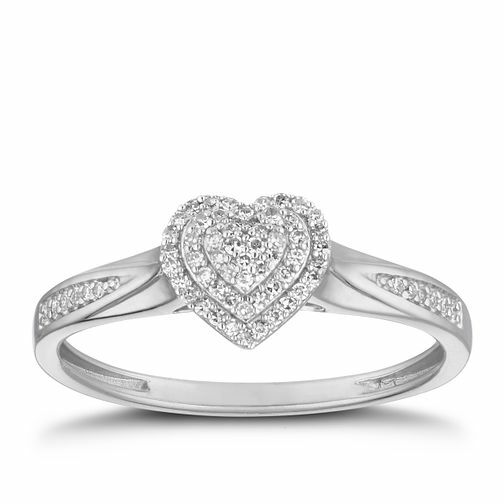 Silver 1/10ct Diamond Heart Cluster Ring is rated 5.0 out of 5 by 1.